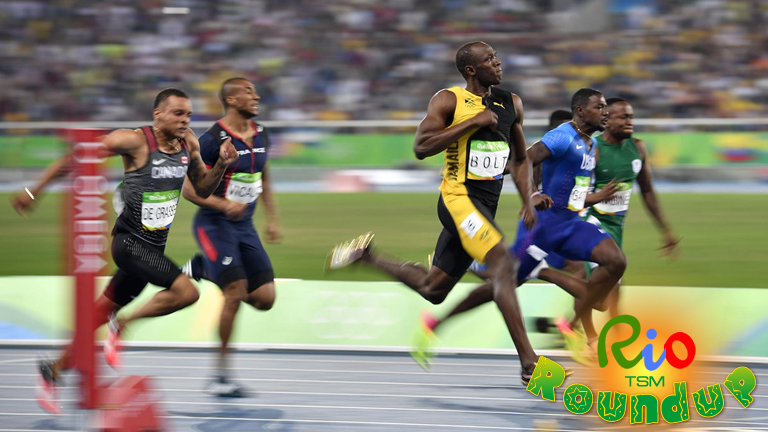 The most anticipated ten seconds in sports did not disappoint - in fact, Usain Bolt's extraordinary win at the 100m final was the tip of the iceberg on day 9 of the Rio 2016 Olympics. With a historic 400m dash, a thrilling golf conclusion, four hours of hard-fought tennis and the crowning of more Olympic legends, Usain Bolt recorded a time of 9.81 seconds as he flew past Justin Gatlin. As he showed the cameras his renowned pose, sporting the Jamaican colours, the eyes of the world fixed upon him - and for good reason, as he secured a historic third Olympic medal in the discipline. Below, we round up a phenomenal day of action, including where all the medals went - with good news for Team GB who sit in second in the standings after a superb hauling. Wayde van Niekerk smashed a 17 year long world record as he stormed to a 400m gold medal in stunning fashion. Breaking Michael Johnson's record way back from the Atlanta games, the South African showed no signs of letting up in a relentless pursuit for the finish line, leaving all spectators amazed. Caterin Ibarguen won Colombia a gold medal in the triple jump, leaping 15.17 metres to justify her tag of being the favourite. Uzbekistan's Hasanboy Dusmatov claimed light flyweight gold as he won the tournament with a comprehensive defeat of Yurberjen Martínez. He capped off his dominant run by working to a three-round decision, too fast and too skilled. Robson Conceicao and Sofian Oumiha will battle in the final of the men's lightweight, after wins over Lazaro Alvarez and Otgondalai Dorjnyambuu - who settled for bronze medals. Britain's Joshua Buatsi pummelled Adilbek Niyazymbetov to guarantee a medal in the light heavyweight bracket, forcing two standing counts early on to make the final four. Jason Kenny won the fifth gold medal of his career as he ousted teammate Callum Skinner in an all-British men's sprint final. He lead from the off, with Skinner never able to push ahead. Shi Tingmao dominated the women's 3m springboard final, as did her nation of china, taking both the gold and silver medals from the event. 20 points clear of her compatriot He Zi, Tingmao added Olympic silverware to her world championship with a score of 406.05. As the fencing action came to a close for this games, so did France's wait for gold in the sport as they toppled Italy with a straightforward victory in the men's team sabre final. Yannick Borel got the winning touch to make it 45-31. Things were much closer in the bronze medal match, which saw Hungary scrape Ukraine for the third-placed prize. Justin Rose won the first golf gold in modern Olympic history as he edged Henrik Stenson in a nail-biting finale to the four day contest. The Briton nailed a late birdie after some back-and-forth which sent criticisms backfiring as golf truly showed it has a place in the games. Stenson's effort was strong - but Rose refused to be defied. 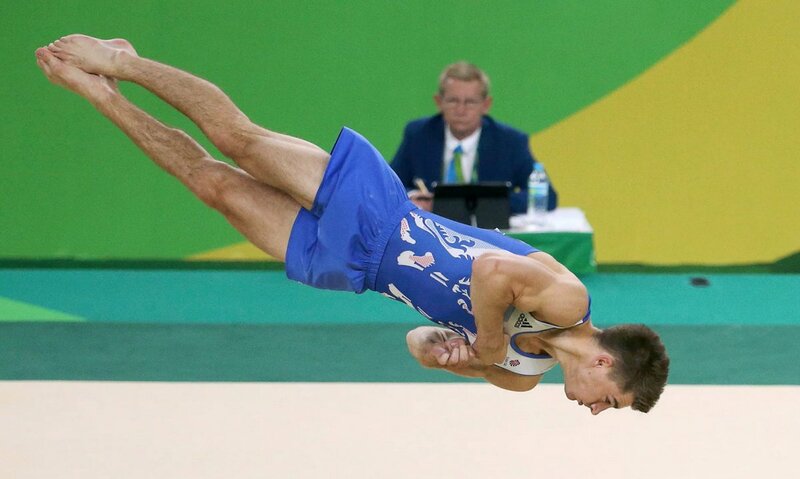 Within the space of two hours, Great Britain went from having no gymnastic gold medallists in the history of the games to a pair of them, as Max Whitlock dazzled first on the men's floor exercise final, followed by a faultless pommel horse routine which helped him top compatriot Louis Smith, who finished in second place. Simone Biles continued her dominant run in Rio as she inevitably marched to a gold medal in the vault final. The American raised the competition level, as her opponents took huge risks in an attempt to beat her - but Hung Un-jon did not execute a triple-twist Yurchenko as the contenders dwindled. Russia's Aliya Mustafina retained her Olympic title, winning once again on the uneven bars competition. Netherlands' Dorian Van Rijsselberghe once again dominated in the men's RS:X, winning after he clinched a gold medal to defend the title won at London 2012. Britain claimed silver with Nick Dempsey. Later on Guanamara Bay, Charlie Picon of France won gold in the women's RS:X.
Niccolo Campriani edged Sergey Kamenskiy in a tense final of the men's 50m rifle from 3 positions. The first two positions were lead by the Italian, but when his opponent got back in the mix subsequently after, a series of traded shots would follow - until an 8.3 shot by Kamenskiy surrendered the gold medal. Andy Murray became the first tennis player to retain their Olympic title as he outlasted Juan Martin Del Potro in a thrilling final, beating him by 3 sets to 1. Going four hours deep into the night, Murray's experience of five-set matches would make a huge difference as Britain got yet another gold medal. Meng Suping's total of 307 kg was enough to win the women's 75+ kg competition, while North Korea's Kuk Hyang Kim was just under that for the silver medal. In the first men's wrestling final at the games, Ismael Borrero Molina defeated Shinobu Ota in the 59 kg greco roman, with a score of 8-0 for the Cuban, with Roman Vlasov winning the 75 kg competition later on in the day.